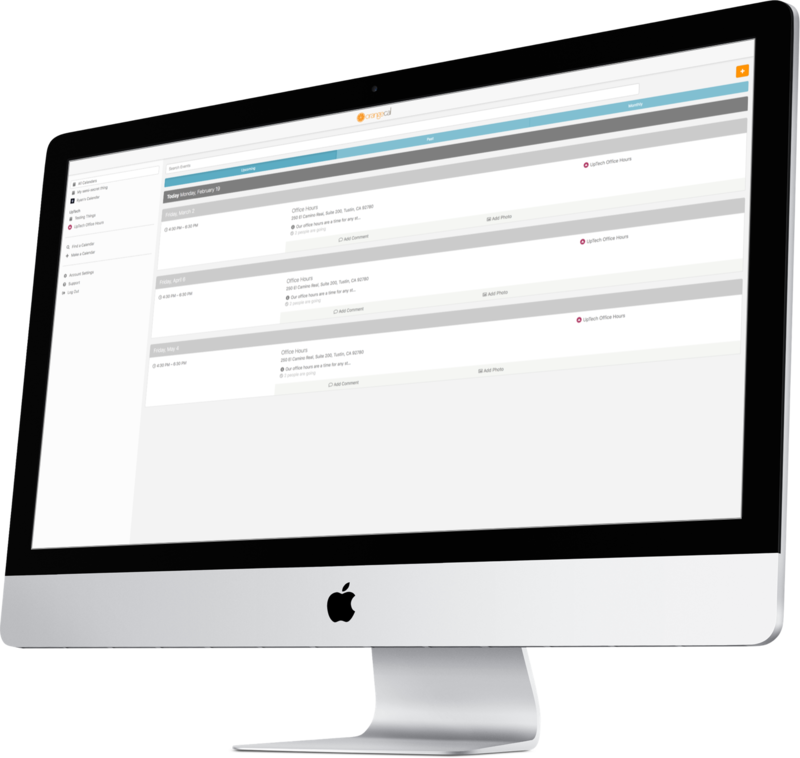 OrangeCal is team management software to help you plan, coordinate and run successful events. Set up your teams and the roles that each member brings to the table so that you can be sure that the right people get to the right events. 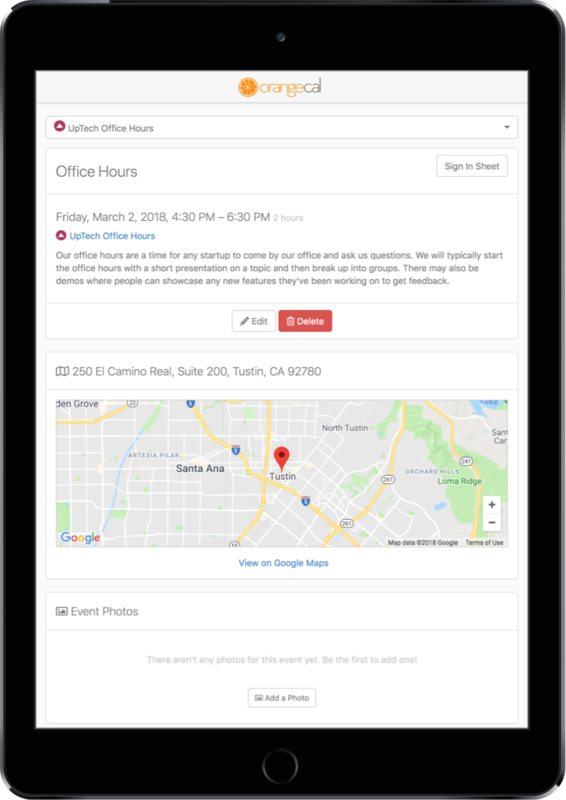 Build out a full calendar for your team and they can access it anywhere – on a computer, tablet, or phone with our iOS and Android apps. Make it easy for your team to know where to go and what to bring by adding location info, details about what to bring, and inviting specific people to attend. For every event that a user is attending, they will get a email the night before, as well as a push notification before the event starts. See which one of your events is in danger of not having enough people turn up. Encourage your team to fill the gaps. If something changes on the day of the event, your team will instantly know and be able to help. Keep track of who shows up to each event or let your team check-in on their own. See reports for how your team is performing. Learn who are the most dependable people on your team. © 2011 – 2019 UpTech Works, LLC.